Now Enrolling for Half Day Kindergarten for 2019-2020! See at the bottom of this page for more information. 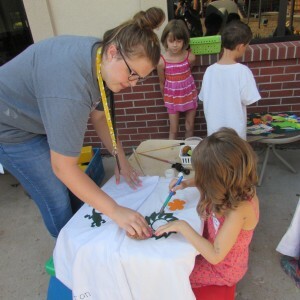 Bethany Busy Bee Preschool seeks to partner with parents and the church to offer families a quality, preschool education in a loving, Christian environment. We believe that God has uniquely created each person with special abilities and needs. Our aim is to help each child mature spiritually, socially, emotionally, academically, and physically recognizing and developing their distinct, God-given abilities and addressing their individual needs. We believe that the parents are the primary teachers of their children. Our intent therefore is to assist parents by reinforcing the truths of God and His love for all people; and teaching the skills and knowledge which will equip them for success in the years ahead. We start the love of learning in a safe nurturing environment where kids feel comfortable being themselves! We believe that God has specially created each person with unique abilities and needs. Our aim is to help each child mature spiritually, socially, emotionally, academically, and physically; recognizing and developing their distinct, God-given abilities and addressing their individual needs. Busy Bee has the best interest of your child in mind as we work to provide a great classroom situation for every child. We work on balancing our classrooms in a variety of ways - including boys and girls, good friendships and an appropriate age range. We also make every effort to accommodate any preferences you have expressed. In our desire to provide a balanced education for the children at Busy Bee by incorporating the following goals in each area of our program. It is our deep desire that each child feel loved, respected and honored. Their independence and self confidence will be strengthened as we help each one realize that she/he is valued and competent. Busy Bee provides children with a solid foundation for success in life-long learning. Our goal is to provide a positive, engaging and challenging environment with opportunities for the children to learn as much as they can. They will be regularly engaged in solving problems, sorting, classifying, comparing, counting and making patterns for printing. We strive to offer appropriate opportunities that will aid the children in developing both gross motor and fine motor skills – from balance, throwing and kicking to cutting and writing. Our overall goal is to help each child develop good interpersonal relationships, learning to work out conflicts and interact with others in a positive way. 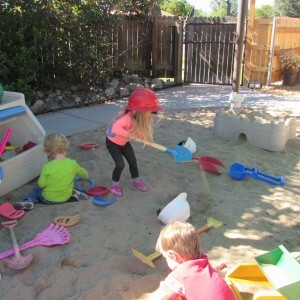 We emphasize cooperative play situations because we believe that communication and socialization skills are high priorities for the young child. 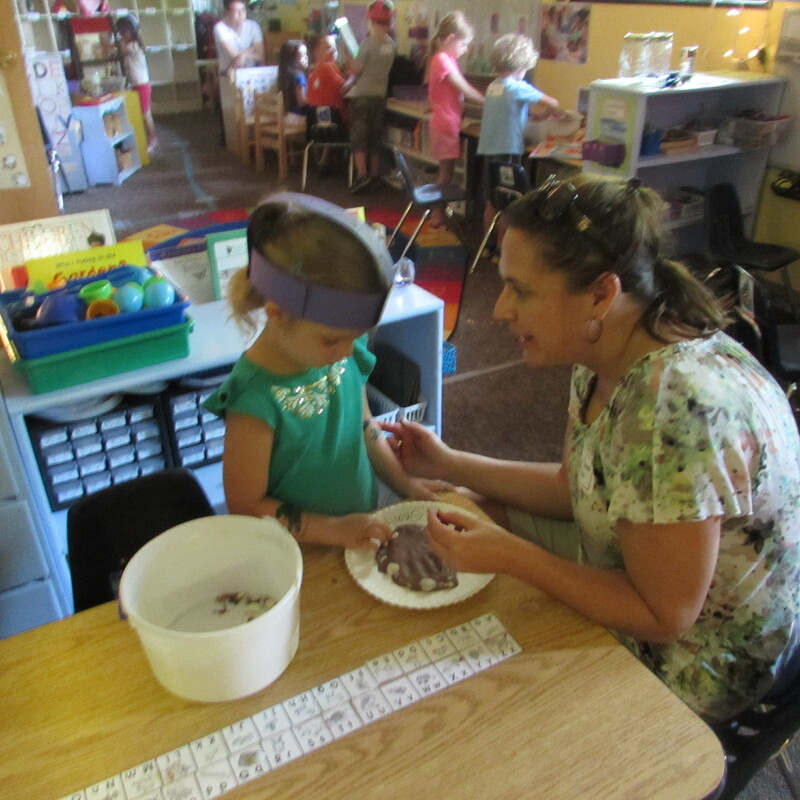 Preschoolers are beginning to learn self-control and how to follow rules and routines. God loves us and cares for us, and so we seek to show and reinforce HIS love towards each student and family we meet. Psalm 119:105, Your word is a lamp for my feet, a light on my path, is an integral part of Busy Bee’s program. Our desire is to partner with the parents in providing spiritual training, teaching the children to love God; and to know and follow the truth found in His Word, the Bible. Individual and Small Group Learning Activities. During this part of the day the teachers are able to work individually with the children, teaching cognitive skills including numbers, letters, colors and shapes. This center time often includes some fine motor art activities focused on the theme or unit they are studying. Circle Time. Circle time is when new centers, units, letters, colors, numbers, and shapes are introduced and others are reviewed. It’s an opportunity for building new vocabulary and improving language skills. Sometimes “Show and Tell” is a part of Circle Time. Often at Circle Time the helpers are assigned to assist with the calendar, weather, be a line leader, snack server, table wiper, or handy helper. (Not all classes do all of these jobs.) Attendance is also noted. a headcount is taken every 45 minutes or whenever classes are moving from area to area. 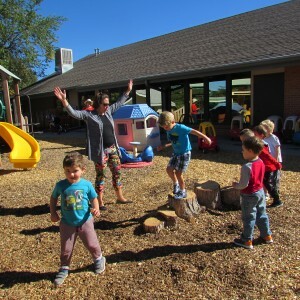 All children are under the direct supervision and within sight of staff while attending preschool. The staff are careful to maintain the appropriate ratios in each classroom. Math and Science. These subjects are integrated throughout the unit activities. Children can count out their own crackers at snack or make a class graph showing which vehicle pictured goes on the land, in the air, or in the water. Specific science units, like the butterflies and metamorphosis, are completed monthly throughout the year. Daily Creative Art. Children get to express themselves by painting, using markers, cutting, or pasting, whatever the activity, the end product is the student’s work. These activities strengthens their hands and minds for pre-writing skills. Weekly Bible Stories. Children will hear a story from the Bible and receive another page for their Busy Bee Bible Storybook. The children will be encouraged to memorize Bible verses and understand biblical values such as love, gentleness, kindness, joy and peace. Daily Music and Movement. Your child will be engaged in music and movement activities for about 20 minutes each day. 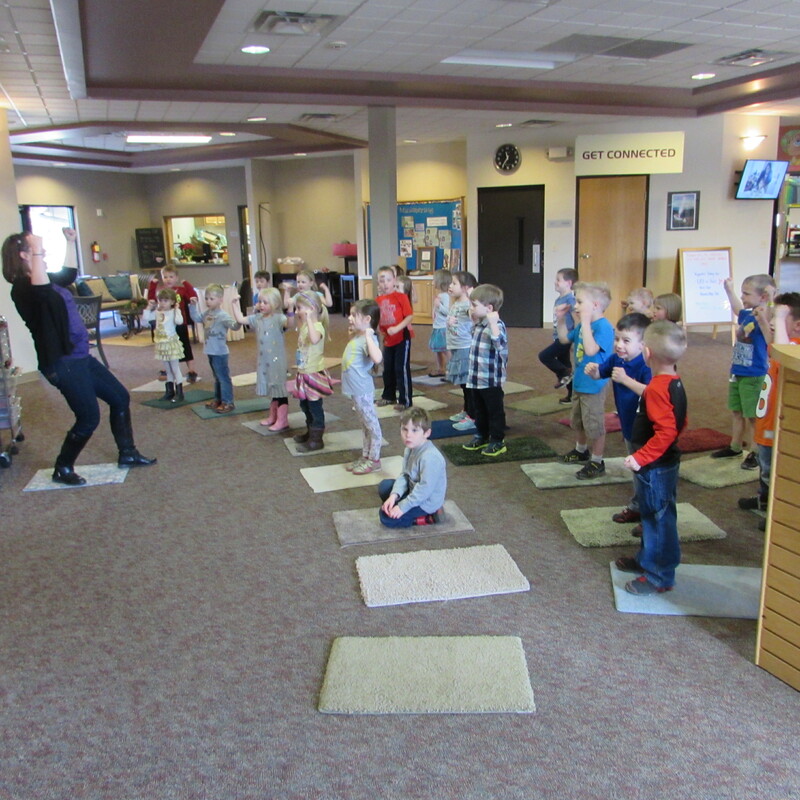 These activities utilize instruments, bean bags, the parachute, bells and drums. Units are often reinforced during this active time period. 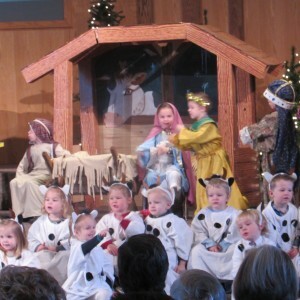 Christian songs, finger plays and simple Bible verses, secular music and preschool exercise or music videos may be used. Special Days & Celebrations. Special activities at Busy Bee include vision screening; the Fall Festival; Rodeo Days; Pepperoni Pizza Pajama Day; Valentines Card Exchange; Leprechaun and St. Patrick’s Day Gold Coin Hunt; Easter Egg Hunt; Donuts with Dad; Muffins with Mom; Goodies and Grandparents creating opportunities for families to meet. Thanksgiving, Christmas and at the end of the year. Special Speakers. We have special presentations from Merry Andrew Afoot performing skits. Firefighters come speak about fire safety and children get to visit with their fire trucks. A Veteran speaker visits and shares information about their service to our country. Outdoor Playground and Gym Space for enrichment in motor skills. 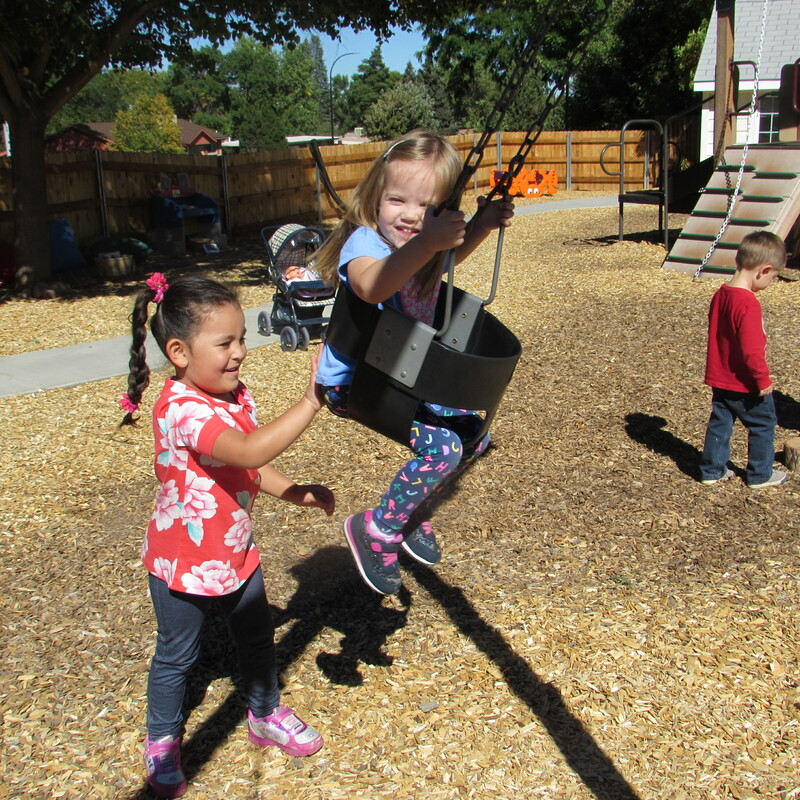 Gross motor activities are generally held outside for 30 minutes each day. On excessively cold or wet days, the children may go to the gym. Gross motor and social skills will be a focus during this free play period. The physical health and development of all children is important to us. In keeping with current research and nationally developed obesity prevention programs, (Head Start Body Smart-HSBS & I Am Moving I Am Learning-IMIL) Busy Bee provides opportunities for children to engage in Moderate to Vigorous Physical Activity (MVPA) daily via our structured music and movement time, unstructured recess experiences, and specific lunch bunch activities. The science linking gross motor functions in front and in back of the brain, making movement one source of stimulation that impacts all areas of the brain” (169). Building the brain network, via incoming sensory, perceptual and movement information is the strongest during early childhood. These brain network connections are strengthened by consistent, repeated and multisensory learning experiences, which in turn lead to increased cognitive understanding and the ability to retrieve information in new situations. Not only does movement increase brain development and the capacity to learn, but it lifts our spirits as well. Show and Tell. Show and tell items are usually things that coincide with the present unit. This is a good time for language development as each child will be able to answer questions and talk about what he or she brought while the rest of the children are encouraged to listen. The teacher will notify the parents about how “show and tell” is structured in their classroom. Picture Memory Book. 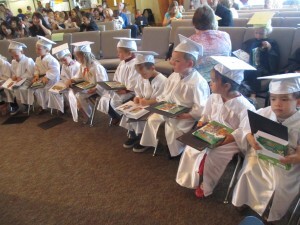 Each Child receives a memory book which is similar to a preschool yearbook, scrapbook style for you to have something to remember your child’s preschool years. Summer Programs (Art Camp and Science Exploration Camp) including Vacation Bible School. 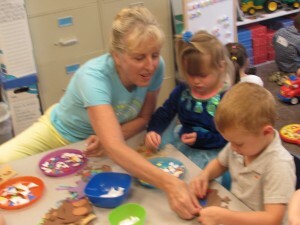 These programs both serve as a great introduction to the preschool and as a great transition to their next year class. Small Classes and Qualified Staff. Our classroom vary from 12 to 16 kids with a Teacher and Assistant Teacher(s) in each class. Field Trips. 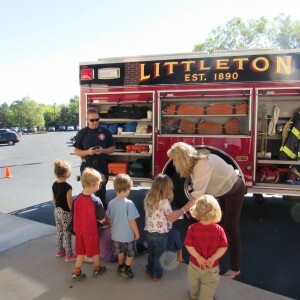 Busy Bee schedules one field trip to Littleton Museum each year, and we encourage parents to accompany us. Parent Volunteer Opportunities. Volunteer Opportunities are available throughout the school year. You may choose from School Wide Special Events, Reoccurring Needs, Classroom Specific Needs, and participating in school fundraisers by attending and/or providing food, beverage or cash donations. Healthy Snacks. Each family signs up to brings a healthy snack for the entire class on rotating basis throughout the school year, about once a month. Healthy Practices. With your child’s health in mind, best practices recommend that each child use the restroom and wash their hands for 20 seconds before arriving in the classroom. This practice keeps both students and staff healthy. Safety Practices. A headcount is taken every 45 minutes or whenever classes are moving from area to area. All children are under the direct supervision and within sight of staff while attending preschool. The staff are careful to maintain the appropriate ratios in each classroom. Lunch Bunch Options. Lunch Bunch is a drop in optional extended day available from 12 noon to 1:30 pm daily: Lunch Bunch is offered to children enrolled any day from Monday through Friday who would like to bring a lunch and stay until 1:30 P.M. The children eat lunch with the teacher and their friends. This time is an ideal opportunity for social conversation as well as learning to use good table manners. Art projects, science, cooking, or games are planned as well as time for free play. The cost of Lunch Bunch is $10.00 which can be paid on that day, or with your monthly tuition. These themed events are available for families. You may sign up from our Calendar page. Parents Morning Out where parents drop the children prior to Christmas during the Christmas break so parents can use it to do last minute shopping or just have some adult time while the kids have fun at Busy Bee. One of our Themes is “Feeding the 5,000” where the children are read the story and get to create their own survival packet. Parents Night Out where parents drop the children while parents may have a date or some adult time while the children enjoy their time at Busy Bee. 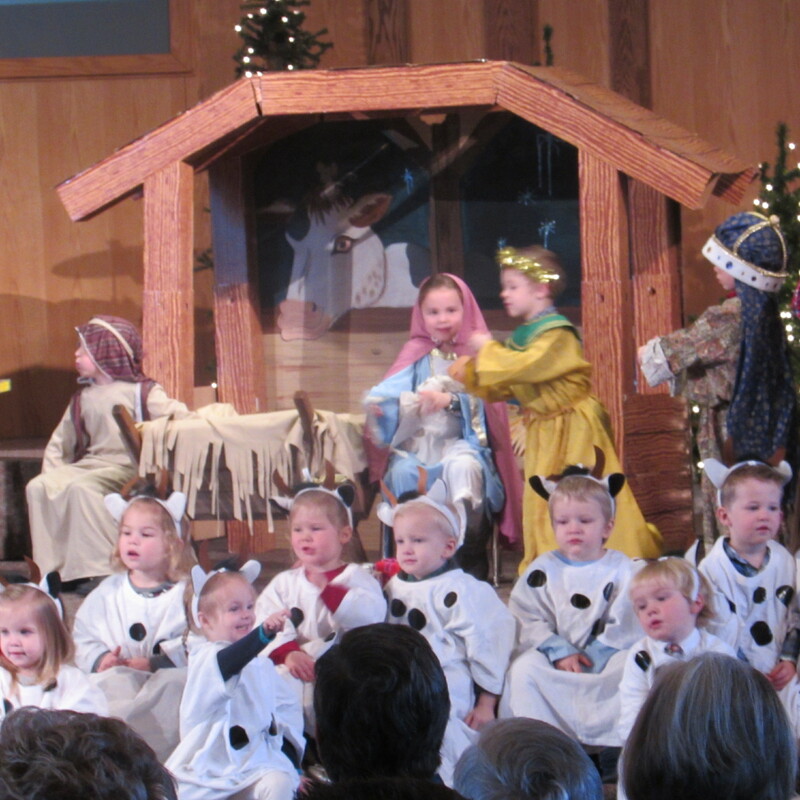 Some of our Themes are Pajama Parents Night Out, Super Hero Parents Night Out, Signs of Christmas. Art Gala is a family evening where various student’s artwork is displayed. There are crafts, playground play, horderves, music and family mingling available during this event. LIFT and Parent Education bring topics to parents about life, parenting, spiritual growth, taking care of yourself, the relationship with your spouse, cleaning tips and many other uplifting topics. Speakers vary in their areas of expertise. The entire event is free, including beverages and appetizers and onsite childcare so parents can enjoy this special “adult” time. Simply register in advance so we can accommodate your childcare needs with proper staffing. Infants are always welcome to stay with the parent during the entire event or on and off, whatever makes you most comfortable. This is a time to gather, listen, ask question, discuss, share, learn, and build relationships. It is held about once a month from 12:00 pm to 1:30 pm. Children receive a free lunch bunch when attending LIFT, and infants stay at childcare for free. Everyone is welcome – your family and friends. Busy Bee Preschool accepts children ages 2 1/2 years to 6 years old by October first of the current school year per State Law. We offer our services to any child in the community regardless of religious, racial, economic or social status. We serve a very diverse population in this community and we will make every effort to support children and families encountering language barriers. 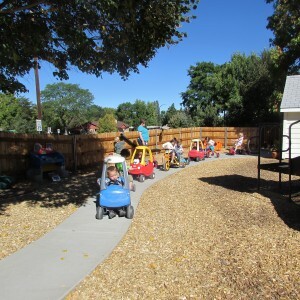 Special Needs: Busy Bee Preschool is ADA compliant. Children with special needs are welcomed. The Busy Bee staff will work with the parents to ensure that reasonable accommodations are made so the needs of the child can be met. Preschool programs times are 9:00 am to 12:00 pm; tuition payments are divided into 9 equal monthly payments from September to May. First and Last Month’s Tuition are due by the first day of school. Preschool enrollment process includes the following items listed below. Please submit all forms as soon as possible, no later than May 1st. This helps us better prepare for the following school year. A Non-Refundable Registration Fee and Form. There is a $100 per child or $150 per family Non-Refundable Registration Fee that holds the child’s spot in the classroom that is due at the time of registration along with the Registration Form. Student Information and Permission Form. This form acknowledges parent/guardian’s authorized participation in school activities for the current school year. We do need one for every year enrolled even if there is no changes per licensing requirements. Current Physical (also called General Health Appraisal Form). We will need an updated physical every 12 months per licensing requirements. This form certifies that your child is healthy and may participate in all routine activities in school sports, child care or camp program, identifying any restrictions or concerns on the form. It requires your pediatrician’s signature. Your pediatrician may fax it to 303-795-9520. Emergency Card. We will need one every year enrolled even if the information remains the same per licensing requirements. Immunization Record or Exemption. We only need one form to enroll, and an updated one if there are any updates within the preschool years. Last Month’s Pre-Paid Tuition. May 2019 is paid upfront by August 1, 2018. Your last tuition payment for the school year will be April 2019 since May’s tuition is already pre-paid. Activity Fee. A $65 Activity Fee or $40 Activity Fee for Friday MDO that contributes towards expenses incurred for special events such as: Fall Festival, Merry Andrew Afoot, Thanksgiving Feast, Christmas Performance, and the Graduation/ Spring Ceremony, especially those including special guest performers. The activity fee also covers some expenses associated with the end of the year memory book, and a special Mother’s Day and Christmas project. The Activity Fee is due prior to or on September 1st of the child’s enrollment. First Month’s Tuition. September’s Tuition is paid by September 10th. All other tuition payments are due the 1st of the month. Parent Handbook Acknowledgement. This form acknowledges you received a copy of the Parent Handbook which is also available on the website for review. 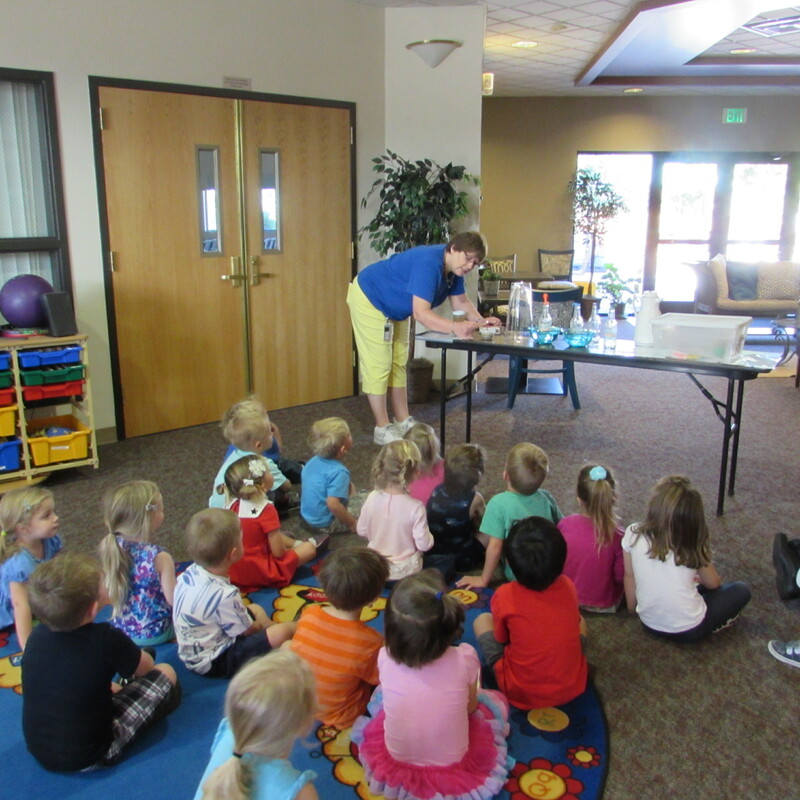 Preschool programs times are 9:00 am to 12:00 pm; tuition payments are divided into 9 equal monthly payments from September to May. First and Last Month’s Tuition are due by the first day of school. Registration forms for 2019-2020 school year will be uploaded on the website by January 10th. 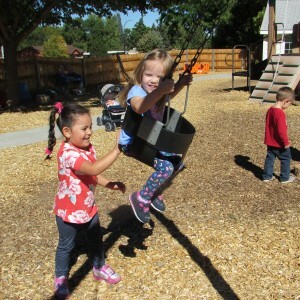 Current and returning students may pick an enrollment form at the preschool. New families are able to access an enrollment form as of January 10th. A one time, non-refundable registration fee per child is $100 or $150 per family along with this form will hold your child’s space in the classroom. Classroom spaces are on a first come basis. Classroom size is from 8 – 12 kids. Last Month’s Pre-paid Tuition for May 2020 and Enrollment Forms * are due before August 1st. A $65 Activity Fee and September tuition are due September 1st. The Kindergarten class will participate in all the Busy Bee events including the option for Lunch Bunch. To register for Half day Kindergarten, please complete the 2019-2020 Kindergarten Registration Form and submit to the preschool along with the registration fee. * Enrollment Forms are due by Aug 1st which consist of the following: Student Information & Permission Form, Emergency Card, Immunization Record or Exemption, and Current Physical within the last 12 months. Parent Handbook Acknowledgement is issued during parent orientation. Preschool and Half day Kindergarten enrollment process includes the following items listed below. Please submit all forms as soon as possible, before August 1st. This helps us better prepare for the following school year. Current Physical (also called General Health Appraisal Form). We will need an updated physical every 12 months as of the date of the physical per licensing requirements. This form certifies that your child is healthy and may participate in all routine activities in school sports, child care or camp program, identifying any restrictions or concerns on the form. It requires your pediatrician’s signature. Your pediatrician may fax it to 303-795-9520. Emergency Card. This form provides the hospital to treat your child should your child need to be taken to the hospital. We will need one every year enrolled with your signature and the date of the current school year even if the information remains the same per licensing requirements. Last Month’s Pre-Paid Tuition. May 2020 is paid upfront by August 1, 2019. Your last tuition payment for the school year will be April 2020 since May’s tuition is already pre-paid. Parent Handbook Acknowledgement. This form acknowledges you received a copy of the Parent Handbook during parent orientation in September before the first day of school, which is also available on the website for review. All forms are found in the Pay or Enroll Tab of our Website.